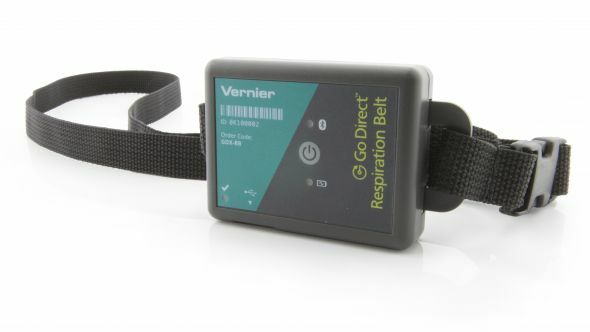 Produktinformationen "Go Direct™ Respiration Belt"
Measure human breathing patterns quickly with the Go Direct Respiration Belt, which connects wirelessly via Bluetooth® or wired via USB to your device. 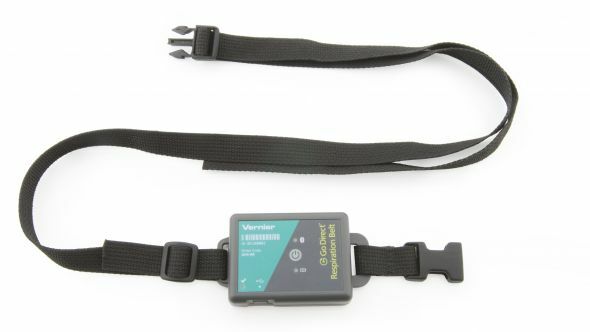 Go Direct Respiration Belt uses a force sensor and an adjustable nylon strap around the chest to measure respiration effort and respiration rate. An LED indicator provides feedback so belt tension can be optimized. Respiration rate is reported in the Graphical Analysis™ 4 app, which makes comparison studies betweens subjects or experiments easy to do. Observe how respiration rate changes after exercise or breath holding. Observe how respiration effort (the force exerted by the chest during respiration) changes after exercise or breath holding. Measure steps and step rate during a study with the built-in pedometer. Weiterführende Links zu "Go Direct™ Respiration Belt"
Garantie(Jahre) "Go Direct™ Respiration Belt"
Weitere Info "Go Direct™ Respiration Belt"
Kundenbewertungen für "Go Direct™ Respiration Belt"